Turkey’s Foreign Ministry rejected a U.S. government statement that said the two NATO allies were holding diplomatic talks about the Turkish incursion into Syria’s Afrin. 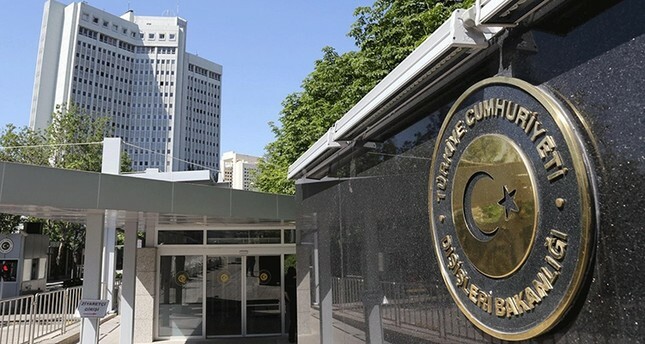 Pentagon Spokesman Adrian Rankine-Galloway's statement that negotiations had started to reduce tensions in the enclave, was not correct, Turkish Foreign Ministry Spokesman Hami Aksoy said, according to the Daily Sabah newspaper. "Turkey is currently not carrying out any diplomatic talks with the U.S. about Afrin," he told reporters. Rankine-Galloway said in a briefing on Sunday that Ankara and Washington were holding the negotiations “in order to focus on the fight against the Islamic State of Iraq and the Levant (ISIS)”. "There are diplomatic discussions ongoing right now to de-escalate the situation there, in Afrin," Rankine-Galloway said. U.S. Secretary of State Rex Tillerson secured an agreement with Turkey to hold talks on their widening differences over Syria during a visit to Ankara earlier this month. Turkey has invaded Syria to battle members of the People’s Protection Units (YPG), a U.S. ally in the fight against ISIS but a group that Turkey says is indistinguishable from the Kurdistan Workers’ Party (PKK). The PKK, recognised as a terrorist organisation by the United States and European Union, has fought a three-decade war for autonomy for Kurds in Turkey at the cost of about 40,000 lives, most of them Kurdish.